MANILA -- The Duterte administration’s economic team is preparing additional documents required by the Commission on Elections (Comelec) to grant their request for exemption from the election ban on infrastructure projects, Malacañang assured on Thursday. Presidential Spokesperson Salvador Panelo said while economic managers have submitted their request for exemption as early as February, the Palace will comply with Comelec’s request for additional documents before exempting 145 priority infrastructure projects from the ban. “The Palace will follow all the requirements imposed by pertinent laws on the ban against public works. We assure everyone that the economic managers are on top of the situation,” Panelo said in a statement. Comelec’s election ban on the construction of public works began on March 29 and will end on May 12. Panelo emphasized that the economic managers already know what to do and do not have to be told on what steps they should undertake. 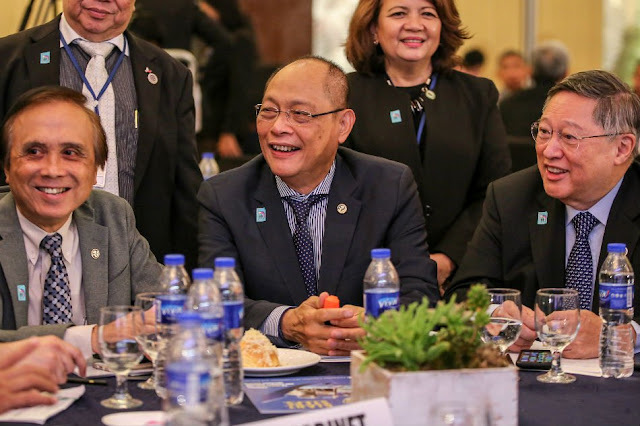 “Concerned agencies are now actively coordinating in order to submit the proper and complete documents for such purpose, as required of them by the Comelec,” he said. “As we have said, our economic managers have anticipated all possible scenarios and are ready to adapt so as to permit our infrastructure programs (to) move forward,” he added. Panelo acknowledged that while delays are inevitable, there are ways to minimize them, such as the request for an exemption from the ban. “Delays are indeed possible and they are inevitable at times, given the practical dynamics and legal dictates of our country, but these can be avoided or minimized with proper due diligence by those responsible therefor,” he said. Panelo, meanwhile, took a jab at the previous administration for ending its six-year term without completing any major infrastructure project. “After all, a little delay is much better than no major infrastructure project at all -- like what happened in the previous administration,” he said. The Comelec earlier requested the economic managers to submit additional documents to ensure that the projects they are requesting for exemption are allowed under the Omnibus Election Code (OEC).